Ellis Injury Law is a nationally-renowned law firm, serving Torrance, CA and the surrounding communities. Over the past twenty-five five years, each personal injury attorney on our team has developed a reputation as being among the most aggressive advocates for the rights of the injured in California. From auto accidents to dog bites, product liability claims to slip and fall cases resulting in catastrophic loss, our lawyers are known for providing clients with an unsurpassed level of personalized service and zealous representation each and every step of the way. Torrance Personal Injury Attorney- Andrew L. Ellis Andy Ellis is one of the most successful Personal Injury Lawyers in California. Meet Mr. Ellis and find out how he helps his clients who have a personal injury case. http://ellisinjurylaw.com. Why do so many injury victims turn to Ellis Law? We give each client the attention, dignity and respect they deserve. Our legal staff takes the time to learn about your story, your family, and your expectations for the future. Clients can depend on sage guidance backed by decades of litigation experience as we fight tirelessly to protect your rights to fair compensation. If you or someone you care about has been seriously harmed because of the negligence of another, our award-winning lawyers provide superior legal services on a contingency-fee basis. We encourage you to reach out for a free case review at our office, or by contacting one of our 20 California law firm locations. In our dedication to pursuing justice for injured clients, our lawyers are proud to work on a contingency, or “no recovery-no fee” basis. No legal fees are ever paid by our clients unless or until we obtain financial recovery in their case. As a result, those who lack financial resources to retain top-notch counsel have no restrictions for pursuing monetary damages. It is our firm belief that every victim of negligence is entitled to vigorous safeguarding of their rights, principled legal advocacy, prompt communication and responsiveness to concerns. For this reason, we offer case evaluations at no cost or obligation to proceed. Prospective clients never have to worry about upfront payments of legal fees, as these will be deducted from your final award or settlement. For risk-free guidance on how to move forward after a serious injury accident, call our law office today. We are a full-service law firm that handles a wide range of civil matters involving catastrophic injury, car accidents, premises liability, malpractice and defective products. Our injury attorneys collaborate with an extensive network of medical experts, economic loss professionals, investigative staff and legal support personnel, all of whom share our enthusiasm for serving clients in the most effective manner possible. Our legal team has seen devastating injuries sustained in motorcycle crashes, construction accidents and motor vehicle collisions, and understand the ripple effects such a traumatic injury places not only on the victim, but their entire family. Whether you slipped on a wet floor and broke a hip, or were injured by a drowsy driver, we understand that serious injury cases need expert medical care, and we are positioned to help you get treatment from the best in the field, with no out-of-pocket costs. We offer skilled legal advocacy to wrongfully injured victims throughout California, helping them recover physically, emotionally and financially. Put our resources, expertise and dedication to work for you, and remember that you only pay if we win or settle your case. Ellis Law, founded by Senior Partner Andy Ellis, has been included in many respected legal directories and organizations, including the Million & Multi-Million Dollar Advocates Forum, Super Lawyers and the American Board of Trial Attorneys. Most recently, Andy Ellis was recognized among the country’s top 10 percent of personal injury attorneys, in the Lawyers of Distinction Directory. Our legal team takes special interest in complex injury lawsuits involving catastrophic injury and loss. Andy Ellis and his talented co-counsel have successfully won challenging cases against multiple defendants, distinguishing the firm as a leader in these types of cases. There is essentially no limit to the sort of damage a personal injury event can bring to entire families, and that is why we diligently pursue compensation for losses like: medical costs, physical therapy expenses, lost wages, reduced earning capacity, physical pain, emotional suffering, loss of financial support to dependents and more. Andy Ellis and His Team Have Won $350 Million for Our Clients — and Counting! Our attorneys have a 99% track record of success when we accept a client’s case. Led by veteran lawyer Andy Ellis, we have succeeded in securing negotiated settlements and trial verdicts worth more than $350 million, solidifying our place in the upper echelon of California law firms. Whether you suffered serious injury in the workplace, at home, a public venue, or on the road, you can count on Andy Ellis and his accomplished colleagues to provide the advocacy you deserve. As an established law firm in California, we work with leading health care experts who lend credence to your claim, and help us secure a settlement or award that reflects the total value of your past, present and future suffering. Andy Ellis has a sterling reputation as a successful trial attorney, which keeps insurance companies honest when paying out your claim. 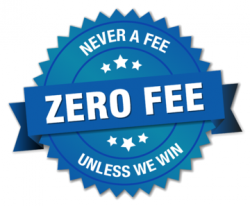 You will never accept a penny less than you deserve with our attorneys in your corner. Corporate defendants and insurance companies know that Andy Ellis has the expertise to argue the case before a jury – and win a favorable verdict. Because Torrance residents should settle for nothing less than tireless representation, our team is committed to providing precisely that. There are serious emotional and physical injuries for which no dollar figure could ever make victims completely whole, the resources we seek on our clients’ behalf can go a long way toward providing an invaluable degree of accountability and a sense of justice. We consider it our mission to enter the fray to vindicate victims’ rights and demand fairness from those whose negligence has caused, in many cases, devastating harm. In a Car Accident? Don’t Know What to Do Next? Call Our Lawyers! Ellis Law is renowned for holding negligent drivers accountable for their conduct. Using critical thinking skills and proven strategies, we have secured victories in actions involving distracted driving, commercial vehicle crashes, auto defects, drunk driving and other types of auto accidents. When you align yourself with a car accident attorney at Ellis Law, you can rest assured we are committed to seeking maximum compensation. Given the fact-heavy nature of all car accident cases, we perform our own investigation, calling upon crash reconstruction experts who can outline what really happened, and demonstrate who the at-fault parties are. We also depose expert witnesses to provide compelling testimony, which can bolster allegations raised in your claim. Is It Worth It To File a Personal Injury Lawsuit? How Much Money Will I Get? Even if you were partly at fault for the accident event in question, never underestimate the power of a good attorney. California negligence laws provide many avenues for legal recovery, even if your actions or inactions contributed to the accident. No matter what the circumstances, it is wise to speak with an Ellis Law attorney as soon as possible. During a private consultation, we can outline the merits of your claim, and discuss the different factors that many influence your compensation award. It is difficult to predict the value of your case without having all the facts and evidence from both parties. Even very similar claims can result in dramatically different outcomes when tried in the courtroom or settled during mediation, so there is no guarantee on a certain dollar amount. What If I File My Lawsuit After the Deadline? California, like all states, has time limits for pursuing legal action. Plaintiffs have up to two years after the injury event in which to file a claim for damages. In some actions against state, county or federal government, this statute of limitations is even shorter. Plaintiffs who attempt to bring their claim after the deadline will have their lawsuit thrown out, thus losing their right to compensation. More than 95 percent of all personal injury cases never make it to trial. They are settled out of court between the plaintiff and the defendant and/or their insurers. When settlement negotiations fail to prove fruitful, having an experienced, competent trial lawyer is of utmost concern. Andy Ellis leverages ample experience trying and winning cases in state and federal courts throughout California. Insurance companies know of his recent trial successes, and always pay maximum damages. When defendants aren’t willing to play fair, Andy Ellis is ready to employ his talents in the courtroom and increase your odds of a favorable outcome that ensures you are justly compensated. Here at Ellis Law, we offer superior legal representation to residents from all walks of life, including seasonal workers, business executives, electricians, teachers and entrepreneurs. Conveniently situated on Hawthorne Boulevard, just north of W. Carson Street, our law office provides clients with the easy accessibility. Torrance’s central location between Lawndale to the north, L.A.’s Harbor Gateway neighborhood to the east, Lomita and Palos Verdes Estates to the South and Redondo Beach to the west makes it easy for residents across the region to access our law offices. If you’ve been injured in a car accident, suffered an injury on someone else’s property or been hurt in a slip and fall accident, you have the right to take legal action. A Torrance personal injury lawyer will make sure that you are equipped with a knowledgeable lawyer that will fight for the settlement you deserve. Renowned for its friendly environs and strong commitment to public safety, Torrance is among Southern California’s most appealing coastal communities – and one that Ellis Law is proud to serve. We value the one-on-one relationships we develop with clients, who become part of our extended family. Apart from our skilled trial attorneys, our paralegals and legal support staff have nearly 30 years of combined experience between them in the California legal community. Contact our Torrance location today for a free case review.